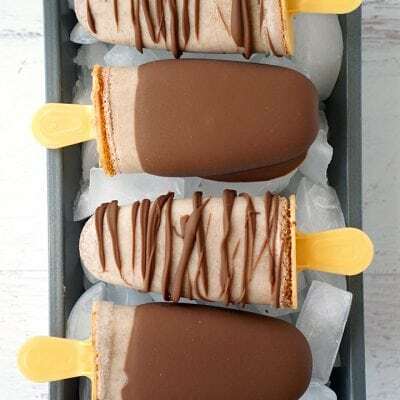 These rich and creamy chocolate dipped caramel popsicles are going to be your newest favorite frozen treat! Super easy and delicious – perfect for summer! School’s almost out for summer, and after spending this past year homeschooling my two fourth graders and my kindergartner, I’ve definitely earned this 3:00 PM after school popsicle break! 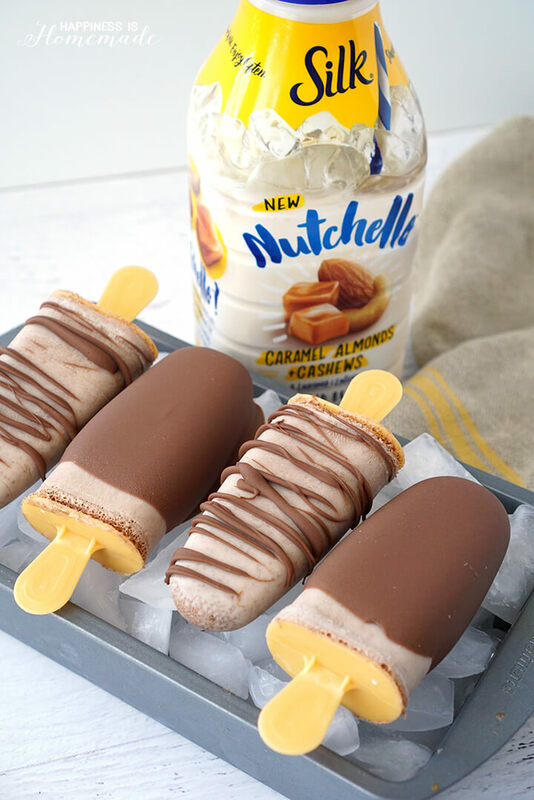 The weather’s heating up here in Northern California, and this creamy Chocolate Dipped Caramel Nutchello pop hits the spot like nothing else! 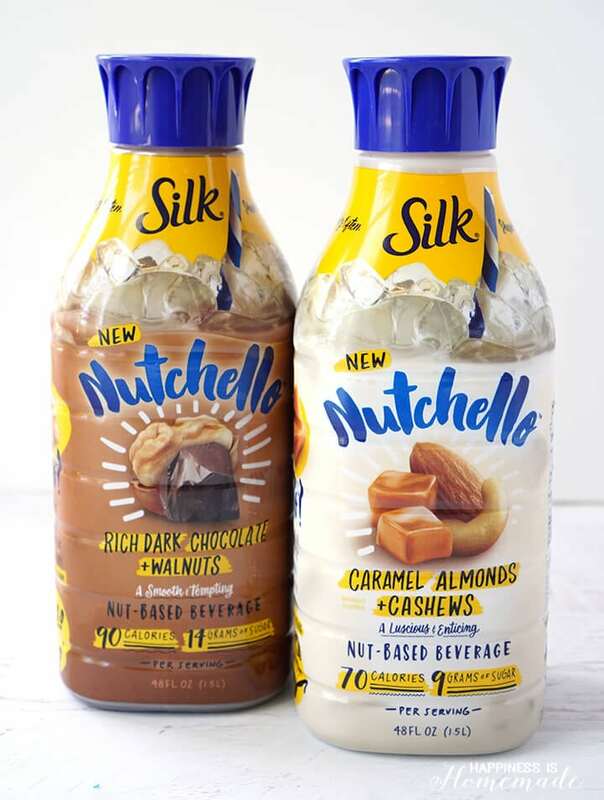 Wait…what in the world is Nutchello? 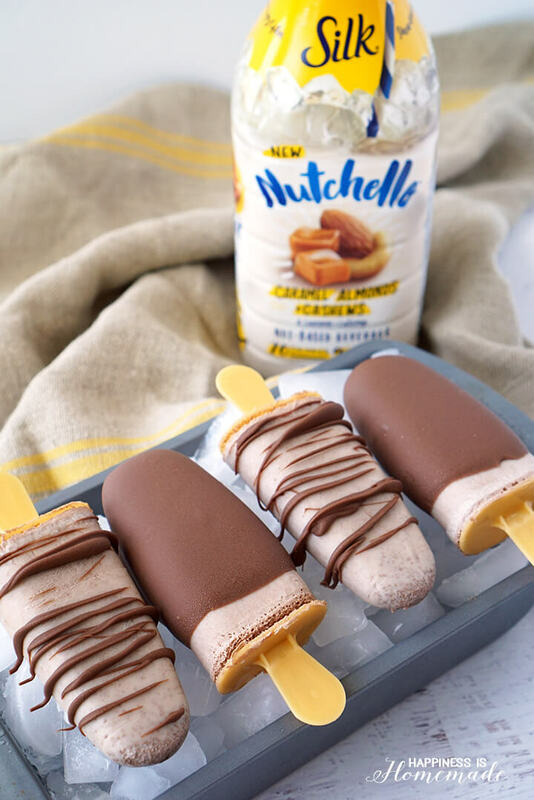 Nutchello is so smooth and creamy that I thought it would make a fantastic frozen treat (spoiler alert: I was totally right!). 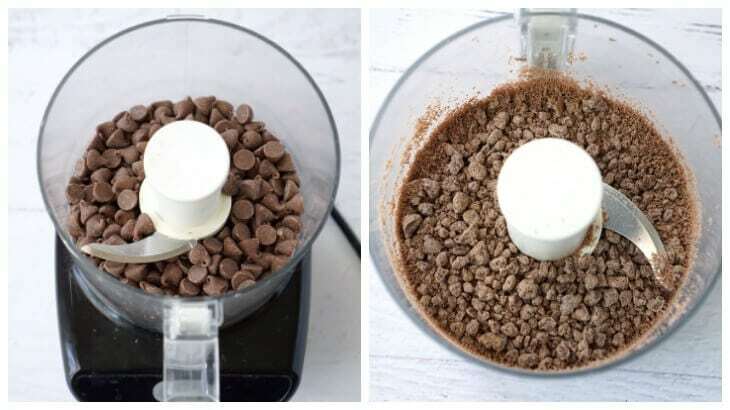 To make the chocolate caramel popsicles, I started by coarsely chopping 3/4 cup of milk chocolate chips in my mini food processor. 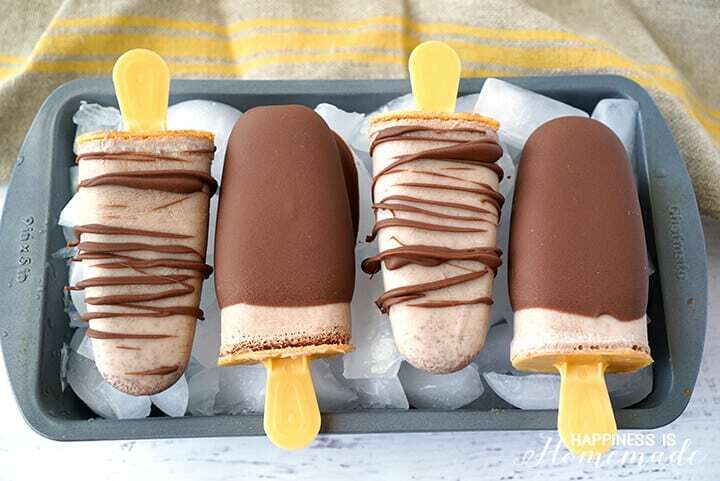 Whole chocolate chips are too heavy, and they will sink to the tip of the popsicle, but smaller bits will stay suspended throughout the pops. In a blender, mix together Caramel Almonds + Cashews Nutchello, vanilla (or plain) Greek yogurt, and the chocolate chip pieces. Pour into popsicle molds and freeze for 4-5 hours. 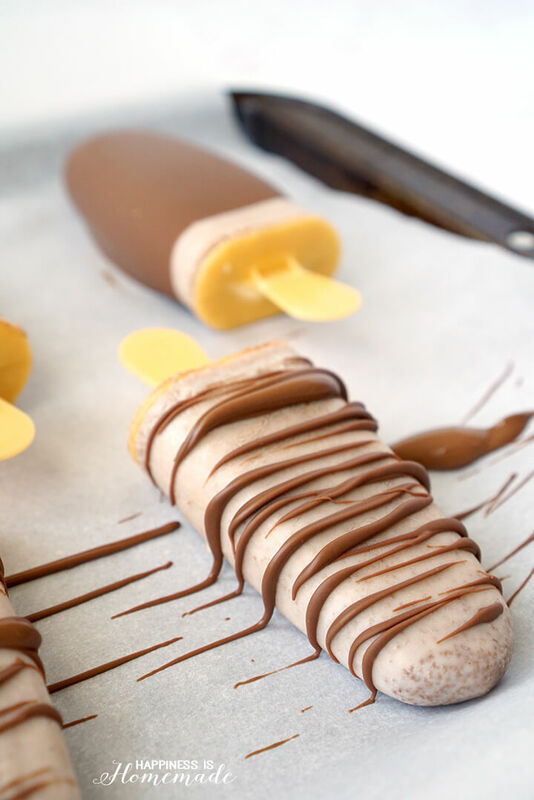 When popsicles are firm, make a batch of our Homemade Magic Shell Chocolate Topping, and dip the popsicles for a smooth milk chocolate coating. 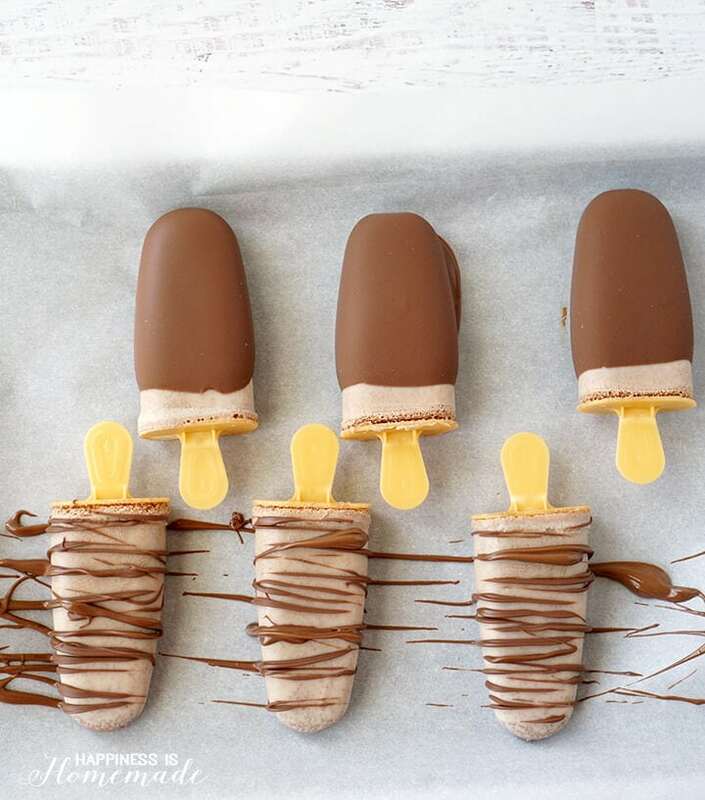 We dipped half of our caramel popsicles and drizzled chocolate over the other half, just to mix things up. 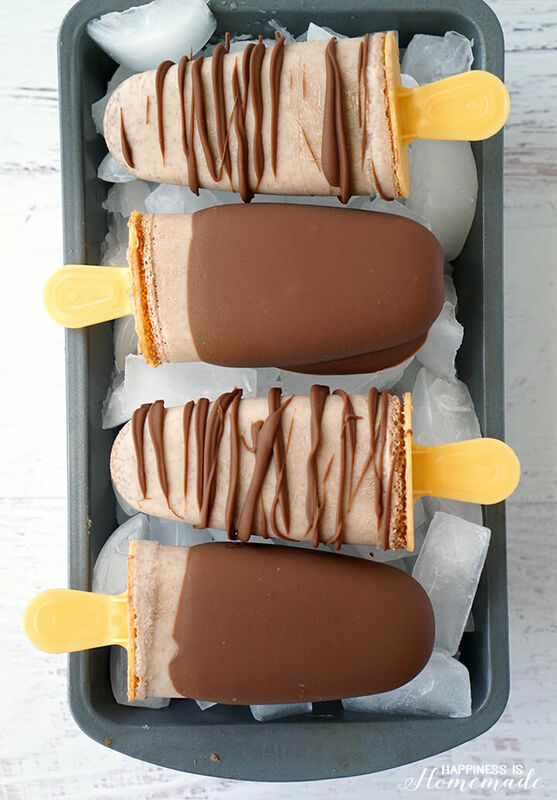 These creamy caramel chocolate pops are exactly what I need at 3 PM after a busy school day! If the boys are lucky, maybe I’ll even share with them, too. 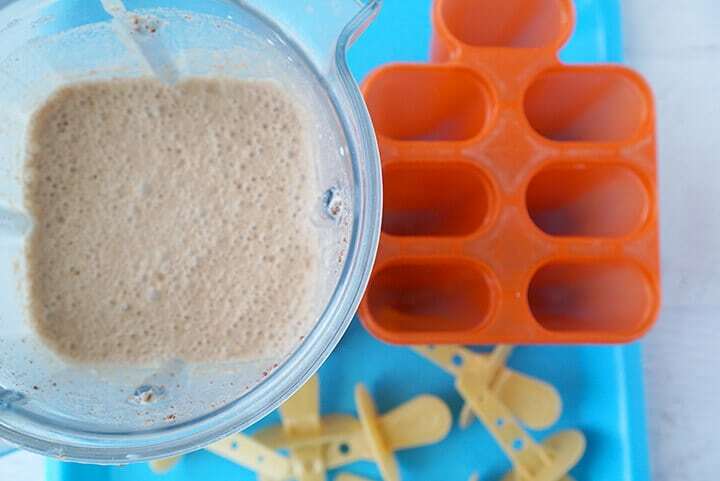 Pour into popsicle molds & freeze for 4-5 hours. Dip into Homemade Magic Shell if desired. I foresee these Chocolate Dipped Caramel Almonds + Cashews Nutchello pops being a warm weather favorite all summer long! What’s your favorite summer treat?